Another personal favorite, because of the subject matter — a neighborhood-by-neighborhood guide to writers in San Francisco and northern California. 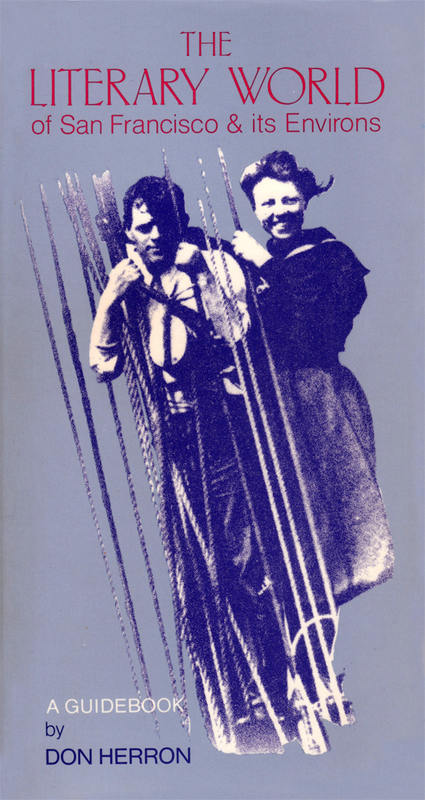 The first edition in blue wraps appeared from City Lights Books in 1985 in an edition of 6000 copies. The reprint from City Lights in 1991 features red-and-brown tones — print run unknown. 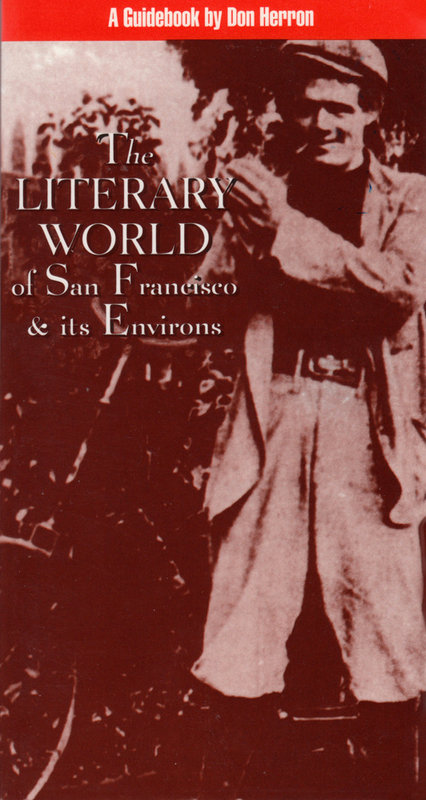 Both covers spotlight Jack London. The Washington Post said at the time: “A marvel of information and research —by far the best literary guide to any American city that I know of.” The Reno Gazette-Journal wrote: “You can buy 247 pages of literary information — and years of adventure. It’s fun to read — and even more fun to follow.” I have a vague plan to do a new edition sometime, replacing almost all the writers mentioned in the first incarnation with yet other, largely unknown writers — keeping London, Hammett, The Beats and other standards in place, of course.